On October 5th, 2000, on a TV screen at boarding school in the south of England, Boris Nikolic watched in awe as, back home, one million people descended on the streets of Belgrade, stormed parliament, and overthrew Serbian dictator Slobodan Milosevic. Growing up in Milosevic-era Serbia was difficult. The country was isolated—you needed a visa to get out. There were regular power cuts and a thriving black market. Random people sold petrol on the street, while the country saw record hyperinflation. When Boris was 15, Belgrade was hit by 78 days of NATO bombing. Civilian buildings were among those hit, including the Chinese embassy. During the blackouts, Boris would go out and explore the city by torchlight with his friends. But here, finally in 2000, it seemed like the protests had paid off. In the face of great adversity, the Serbian people had persevered, resisted, and forced change. It was a lesson Boris would carry with him throughout his professional and personal life. Just after the NATO bombing in 1999, Boris moved to boarding school in rural Sussex in the UK. 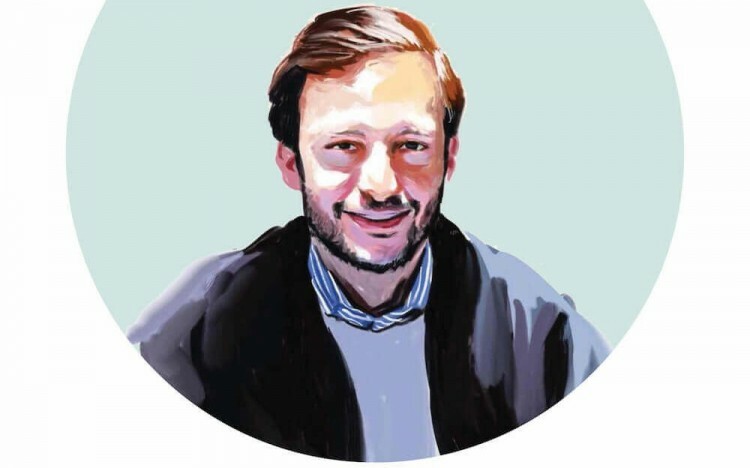 After graduating university in 2007 and a stint working as a management consultant in Milan, he returned home eager to be part of the country’s transition. In January 2011, he took up a job at the mayor’s office in Belgrade. “I always wanted to go back, bring about change, and do something good for my city and my country,” says Boris. “But I learned, in local politics, you can only change so much. Now that we have democracy, we’re learning the hard way what economic transition means. When Boris’ boss lost the mayoral elections, his whole cabinet found themselves out of work. Boris had previously travelled to Asia several times, including China, Japan, Mongolia and even North Korea. He’d read so much about China—about its emerging role in the global economy and the opportunities there—that he decided to take the leap, join CKGSB, and experience life there first- hand. Boris took the long route to Beijing for his MBA. From Moscow, he travelled over 4,700 miles, spending six nights on the Trans-Siberian railway, visiting a friend in Irkustk, eastern Siberia, and seeing Lake Baikal, the deepest lake in the world, along the way. It was during this journey, looking out at the vast Siberian landscape with all its natural beauty, that a business idea began to take shape. Throughout his MBA, Boris had his burgeoning business idea in the back of his mind. As part of a Value Investment course project, Boris did research on wind and solar power in China. Thanks to his interest and the help of a CKGSB alumnus, he secured an internship with a renewable energy company in Beijing. In addition, during CKGSB’s regular exchange to Michigan Ross in the US, he selected courses related to the energy/utility industry and to entrepreneurship. Soon, RENW, an energy consumption engagement software startup, was born. The idea was based on the hypothesis that residential energy consumers would facilitate a more efficient usage of energy infrastructure by shifting their energy consumption at specific hours of the day, by lowering the expensive peaks in power delivery. “The single most important thing that CKGSB gave me is an understanding of what I wanted to do with my life—I discovered the dream that I wanted to pursue,” Boris explains. “At CKGSB, we spoke at length about China’s “Internet Plus” economic development. China’s increasing mobile data usage has affected much of the population’s daily lives, but has also enabled China to leapfrog many of the solutions that exist in the West.” Boris thought the time was ripe for launching an “entech” (energy technology) solution whereby power consumers can interact with their energy consumption via smartphone. “The Internet Plus classes were probably the main reason why I opted to take the startup route instead of a corporate job. I was attracted to the idea that you can change the world through technology that is increasingly cheap to develop. After CKGSB, Boris launched RENW. He moved to Massachusetts and was accepted into Harvard’s Innovation Lab, building his business and working nights in a restaurant to support himself. “Getting out there, talking to people, envisaging the future industry landscape, trying to understand where the value lies—founding a startup is the single most difficult thing I have ever done in my life. But the satisfaction one feels from gaining traction makes all the pain worthwhile,” he says. China today is a ripe, tech-savvy energy market; the leading global market for smart electric meters, with over 300 million smart meters installed to date. And Boris has big ambitions. Once he gains further traction in the US, he wants to hit the CKGSB network and expand eastward. From the streets of Belgrade, to building startups in the US, the same lessons apply.